Escrito por Damaris Chavez. Junio 2018. 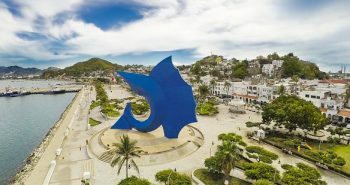 De Manzanillo, Mexico. 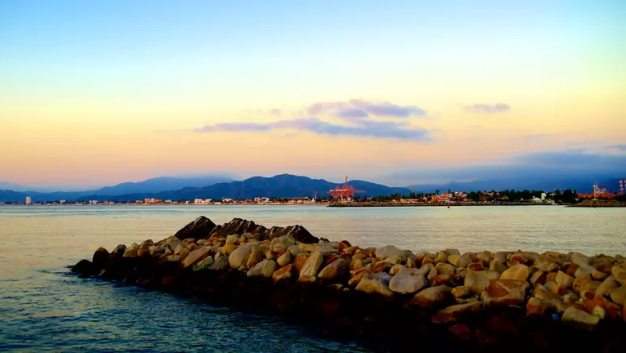 Manzanillo is one of the most important commercial ports in Mexico, known as the world capital of sail fishing, and known for sunny climate throughout the year, the charm of Manzanillo undoubtedly revolves around its beautiful beaches. 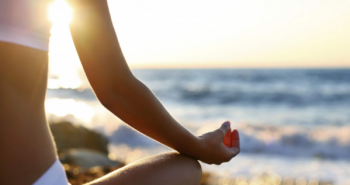 This is the ideal destination for those looking to relax and enjoy on the seashore. When it comes to traveling with children to Manzanillo, keep in mind that the beaches are very varied among themselves and not all are recommended for young children. La Boquita, Santiago, and Playa Azul, located in the Bay of Santiago, are the most frequented by families with children due to the calm waters. On the other hand, there is Las Hadas, which is the quietest beach in the Bay of Manzanillo, since it is in a well-protected cove that allows it to have gentle waves. The access is restricted only allowed to guests of Hotel Las Hadas. Another entertaining activity when we ask ourselves what to do with children involved in Manzanillo is to visit the “Iguana Refuge Archundia”. Ramón Archundia began rescuing a pair of iguanas and settled in a marshy area where he planted two guamúchil trees, establishing the perfect conditions for them to live and reproduce. Currently, it takes care of the 550 specimens of iguanas that live in this place. There is no cost at the entrance there is only a voluntary donation as a collaboration to help with maintenance and food for the different species refuged there. If your family trip to Manzanillo includes people of your same age, the options vary. 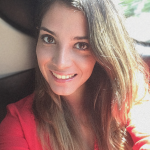 We recommend visiting several of its beaches since each one has a particular style and a different tourist projection, able to satisfy any need for rest and relaxation. In the first instance, you can visit La Audiencia, located in the Peninsula de Santiago subdivision. It is a small cove, surrounded by palm trees and with a moderate swell. It is excellent for developing the most popular water sports such as skiing, kayaking, windsurfing and renting jet skis. 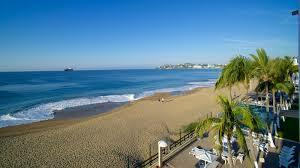 Las Brisas is another of the best beaches in Manzanillo. Due to its unique characteristics, especially in the southern area where the slope is less pronounced and more subtle, the waves favor swimming, diving, snorkeling and enjoying the landscape. Olas Altas, located in the Bay of Santiago, is of moderate waves. It is an ideal beach to sunbathe and enjoy the scenery. Due to the sea becoming deep close to the beach, it is dangerous to swim without taking the proper precautions. Miramar is the most popular beach for tourists, its waves are soft and the slope is moderate, favorable conditions to enjoy the sun and swimming. 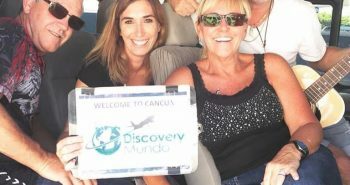 Here, you will find hotels, restaurants, handicrafts market, and you can carry out activities such as horseback riding or water sports of your choice. In addition, the place has its own boardwalk for you to take long walks while watching the sunset. Finally, San Pedrito is the closest beach to downtown. It is interesting to observe the presence of pelicans that are almost always found at the north end of the beach, where fishermen also arrive in the mornings after their work. On this beach, you can find the facilities to do Sports Fishing of Manzanillo. And since we talk about fishing, being the capital of sail-fishing, Manzanillo is among the favorite places in the world to practice it. Every year, in November, the International Pez Vela Tournament is held where the best national and foreign competitors come to these waters to give their best. If you are interested in practicing this sport, we suggest you do it in the “capture and release” mode that consists of releasing the fish after capture to give you the opportunity to continue living and enjoying the coasts of Colima. The coastal cuisine of Manzanillo depends a lot on fishing in the region. The basis of it is fish and seafood. Ceviche Colimense, prepared with ground beef from sailfish, is one of the most popular dishes in the city. After a good dinner with typical food of the region, it is best to go for a walk on the Boulevard Miguel de la Madrid, the center of the nightlife of Manzanillo, and where you can listen to live music and dance until dawn. 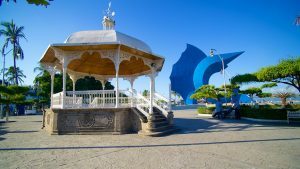 Throughout your family vacation in Manzanillo, you will undoubtedly visit the Malecón several times, where you can see sculptures by local artists, fishing boats, and the beautiful bay. Within the beach activity, in addition to choosing between the above, you can visit Ventanas, a viewpoint to the Pacific, perfect to enjoy a sunset and take pictures, or also the Valley of Las Garzas, where you will find pelicans and herons and you can even take a boat ride. If you are fond of golf, you can’t miss the Manzanillo golf course, where tournaments such as the Las Hadas Cup and the Mexican Aviation Cup are often held. Some places of interest that we recommend visiting in the framework of a vacation in Manzanillo are the Cathedral of Colima, the Government Palace, the Temple of San Francisco de Almoloyan, the House of Culture and the Museum of Western Cultures. And as you will undoubtedly want to bring back a memory of your passage through this city, on Mexico Avenue you will find many artisans, from those who work with marine snails to high and low-temperature potters. 1). Barceló Karmina Palace Deluxe: the most recommended in recent months among tourists and one of the most luxurious. It has a swimming pool, restaurant, spa, gym, bar and ocean view. 2). 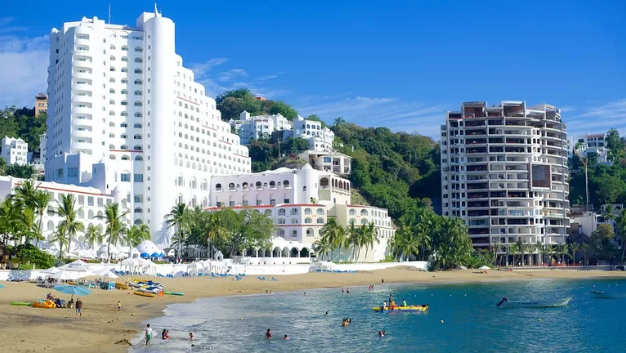 Las Hadas: the most famous hotel in Manzanillo, it is located on the beach of the same name, exclusively for hotel guests. It is a very exclusive resort, it has a swimming pool, golf course, ocean view, gym, spa, restaurant and a marina for yachts and boats. 3). City Express is a very modern hotel with a pool and gym. 4). Hotel Dolphin Cove Inn has a pool, restaurant, and ocean view. We hope this guide will help you leave nothing out of your itineraries for Manzanillo. Our beaches are waiting for you to spend an unforgettable moment. Bon Voyage and please tell us your adventures!